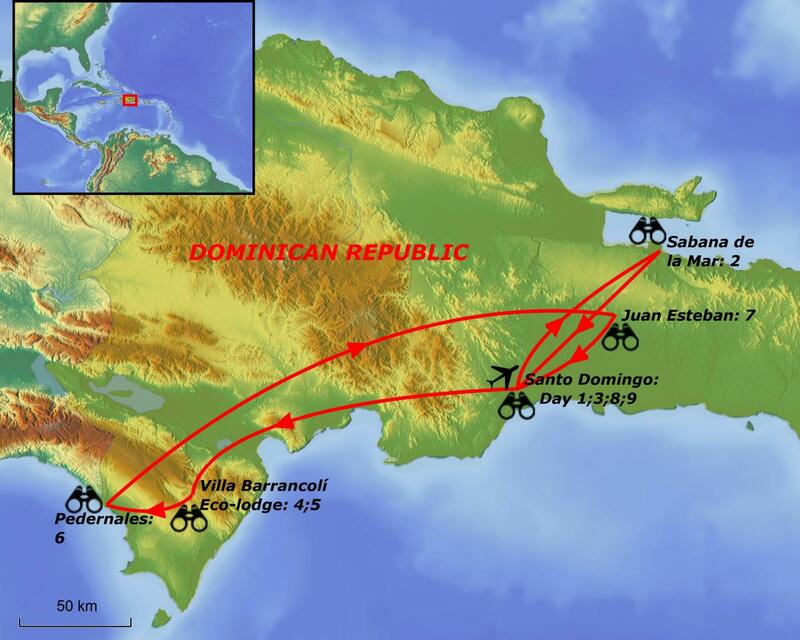 The island of Hispaniola, and in particular the Dominican Republic, which encompasses the eastern side of the island, is host to much more than the many beach-lined resorts that dot its coastline. 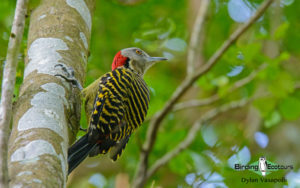 Combined with the country’s rich culture and steep traditions, it has some of the most exiting birding in the Caribbean. Being the second largest country in the Caribbean, after Cuba, the habitat found throughout the country is diverse and varies from dry scrub to high-altitudinal forest (recalling the cloudforests of the Neotropics) to humid lowland forest, with many wetlands and marshes present in between. 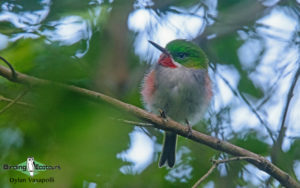 This results in a wealth of birdlife, and 30 species are endemic and confined to the island of Hispaniola, and all but one are readily accessible in the Dominican Republic, with only a single Hispaniolan endemic species being confined to Haiti, which makes up the rest of Hispaniola and is located on the western side of the island. 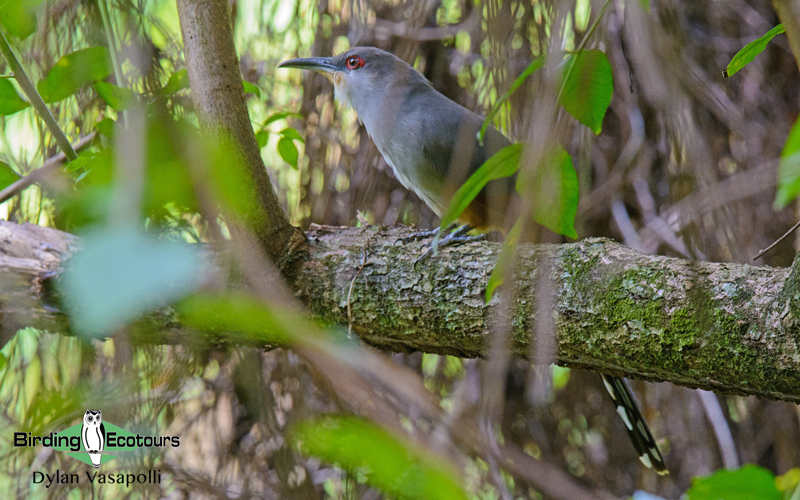 Besides the 30 Hispaniolan endemics, many more species occurring here are found solely in the Greater Antilles, and yet more widespread species are only readily accessible within the Dominican Republic, making this a crucial must-visit destination for any world birder. 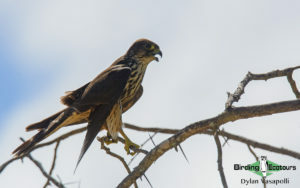 Perhaps the island’s greatest success story on the avian side concerns the Critically Endangered (IUCN) Ridgway’s Hawk. Previously an endemic on the verge of extinction, an intensive monitoring campaign, coupled with relocations and reintroductions by the Peregrine Fund, has brought this species back from the verge of extinction, and while the fight is still not over, much progress has been made, and this species is now more accessible than ever! 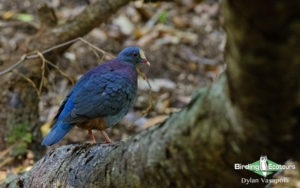 Besides Ridgway’s Hawk, which is arguably one of the country’s most iconic birds, other notable species found within the Dominican Republic include the likes of White-fronted Quail-Dove, the rare Bay-breasted Cuckoo, Ashy-faced Owl, the charismatic Hispaniolan Trogon, Broad-billed and Narrow-billed Todies, Antillean Piculet, Hispaniolan Amazon, Hispaniolan Parakeet, Flat-billed Vireo, the declining Golden Swallow, Rufous-throated Solitaire, the rare and highly-prized La Selle Thrush, Hispaniolan Crossbill, Antillean Euphonia, both Western and Eastern Chat-Tanagers, and the taxonomically odd Green-tailed and White-winged Warblers, along with Hispaniolan Spindalis and Hispaniolan Oriole. 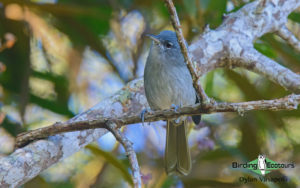 The national bird of the country – Palmchat, resides in a family of its own and is another true icon and one of our main targets, and is fortunately easily seen throughout the country. 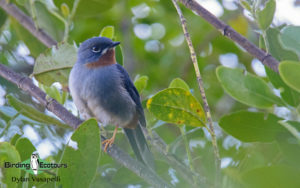 Together with the excellent birds and birding available in the country, the general ease of birding makes this destination a very attractive one to any world birder, whether you’re looking for all the island’s endemics or are just after some good Caribbean birding with a distinctly different feel from many of the other Caribbean nations. 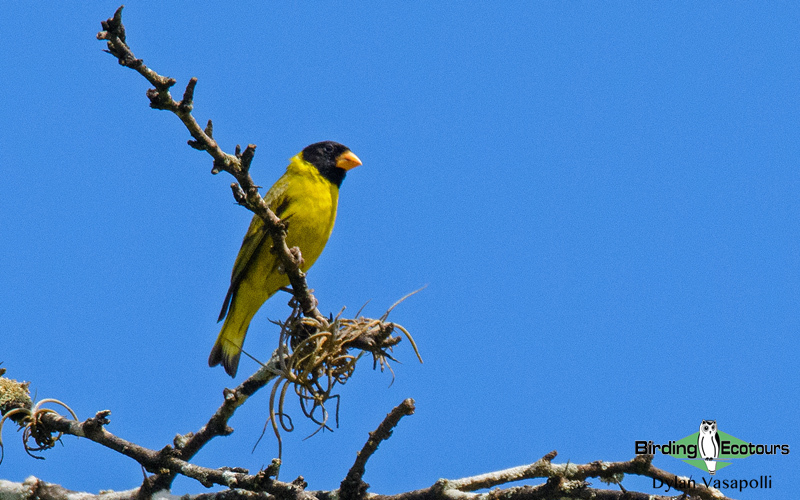 Our well-designed itinerary gives you access to all the island’s endemics and other specials found in the Dominican Republic in a short yet easily-doable timeframe, taking in all the major sites and allowing you time enough to enjoy the beautiful surroundings as well. This tour can be combined with our two preceding tours, Birding Tour Cuba: Great Caribbean Birding and Endemics and Birding Tour Jamaica: Jamaica at its Best, to give you a truly comprehensive Caribbean getaway! Today is your arrival day, and you can arrive at your leisure in Santo Domingo. We will be staying in a quaint hotel in the old colonial district (Zona Colonial) of the capital. We will begin our day by visiting the excellent National Botanical Garden located in this sprawling city, where we will spend most of the morning. This garden will give us the perfect start to the tour, allowing us to get familiar with some of the birds and indeed families of this bird-rich Caribbean nation, along with targeting a few sough-after endemics and specialties that are best found here and can be rather tricky elsewhere. The palm trees lining the parking lot will likely give us our first bit of excitement, hosting gregarious Antillean Palm Swifts, and the country’s national bird, the monotypic Palmchat. We will then begin investigating the many paths in the garden, and foremost of those will be along the well-treed stream, where we will target the scarce West Indian Whistling Duck, a bird that is very tricky elsewhere in the country. Other species possible include Limpkin, Yellow-crowned Night and Green Herons, Snowy Egret. and Common Gallinule. 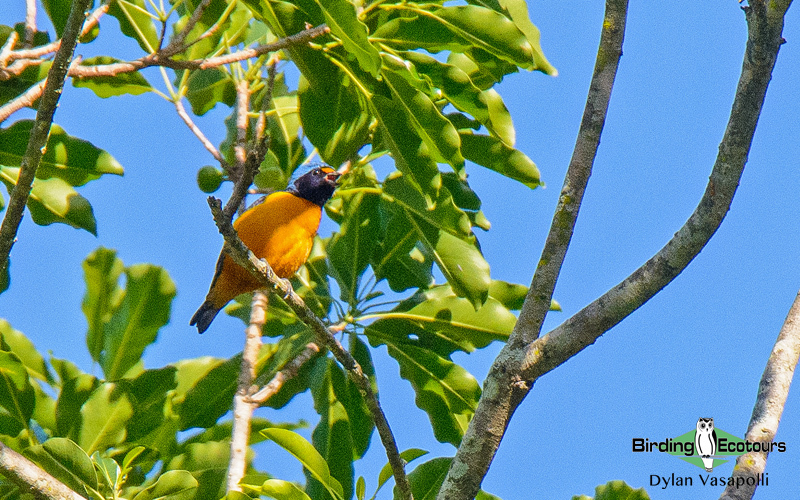 The adjacent riverine vegetation should also provide us with our first endemics, and species we will seek out include the loud and boisterous Hispaniolan Lizard Cuckoo, the cute Broad-billed Tody, Hispaniolan Woodpecker, Red-legged Thrush, and Black-crowned Tanager. 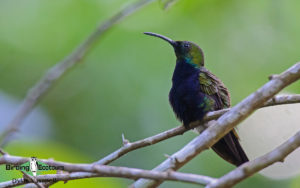 In some of the more open sections of the garden we will seek out Zenaida Dove, Antillean Mango, the tiny Vervain Hummingbird (the second smallest bird in the world), the tricky Hispaniolan Parakeet, Grey Kingbird, and the ubiquitous Bananaquit. 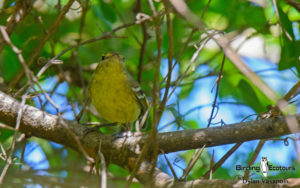 We should also encounter some overwintering wood warblers and we will keep our eyes open for Ovenbird, American Redstart, Black-and-white, Cape May, Prairie, and Palm Warblers, among others. 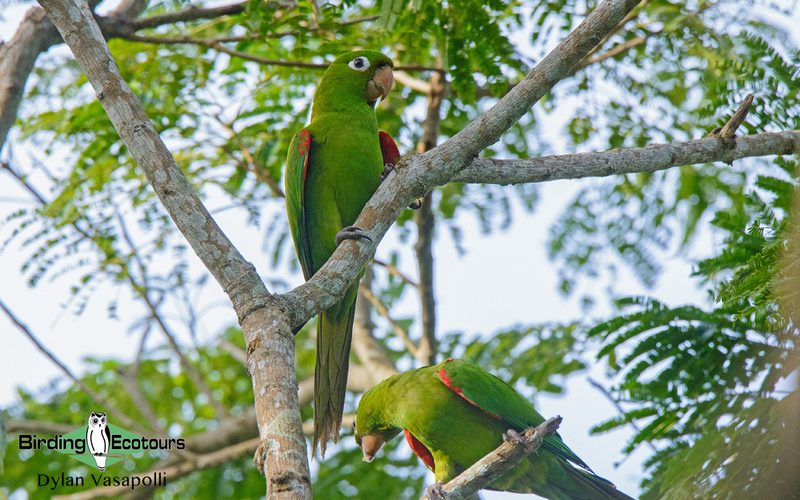 Following a good morning’s birding and introduction to the country we will transfer to the Los Haïtises National Park on the eastern side of the country. We will arrive in the afternoon and explore the area around the vicinity of our comfortable accommodation, should time allow. This is arguably the most productive spot for the rare Ashy-faced Owl, and we will search in the evening for it. 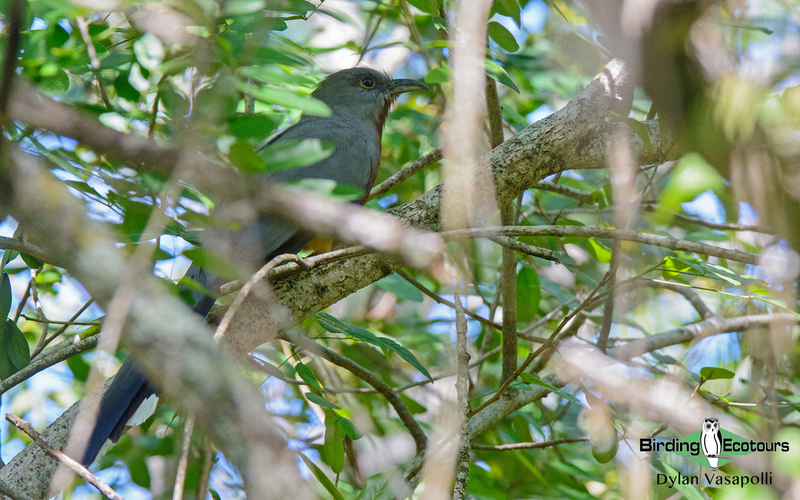 This scenic, low-lying park is home to the country’s rarest endemic, and arguably one of the world’s rarest raptors, Ridgway’s Hawk. This species was on the brink of extinction, and although the fight is not won yet, hard work by the Peregrine Fund has seen this species’ numbers start to increase in the region – which is the last stronghold for this endemic species. 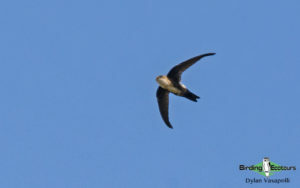 We will meet up with a local guide who keeps tabs on the birds and attempt to see this incredibly-prized target. Our time spent birding the area is likely to produce many other species, including Limpkin, White-crowned and Plain Pigeons, Ruddy Quail-Dove, Mangrove Cuckoo, Antillean Mango, Vervain Hummingbird, Broad-billed Tody, Hispaniolan Woodpecker, Antillean Piculet, Stolid Flycatcher, Black-whiskered Vireo, White-necked Crow, Palmchat, Hispaniolan Oriole, Antillean Euphonia, Black-crowned Tanager, Greater Antillean Grackle, and a variety of wintering warblers, including Northern Waterthrush, Northern Parula, and American Redstart among others. The ocean at Sabada de la Mar will be searched for Terns such as Royal, Cabot’s, and Common, along with waders such as Spotted Sandpiper among others. We will be spending most of the day in the area before transferring back to the capital, Santo Domingo, in the afternoon. We will begin the day with an early start, as we undertake the long transfer to get to our rustic lodge in the foothills of the northern Sierra de Bahoruco at Puerto Escondido. 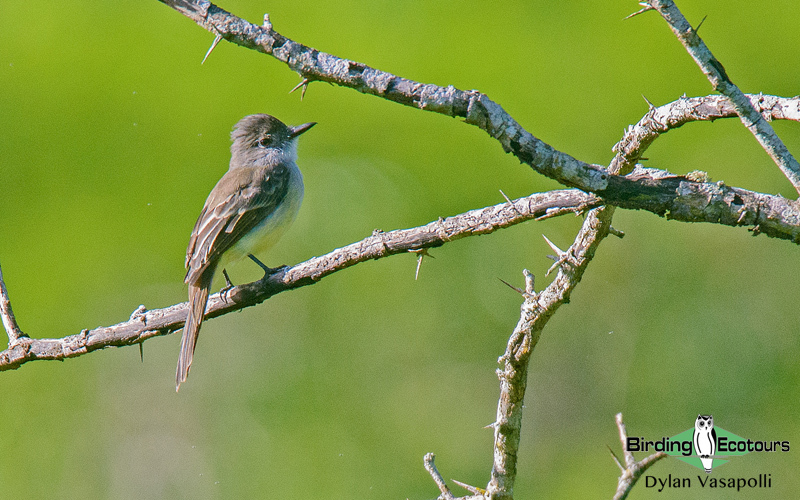 Our first dedicated birding stop for the morning will be at the Salinas de Baní, which we will reach after roughly two hours. This small coastal village hosts an array of salt pans along with tidal mudflats and mangrove stands. We will spend a few hours birding this area, focusing on species such as American Flamingo (if we’re lucky!  ), Reddish Egret, Tricolored and Little Blue Herons, Clapper Rail, Grey, Snowy, Wilson’s, and Semipalmated Plovers, Black-necked Stilt, Least, Semipalmated, and Western Sandpipers, Greater and Lesser Yellowlegs, Willet, Short-billed Dowitcher, Least, Royal, and Cabot’s Terns, and Mangrove Warbler. 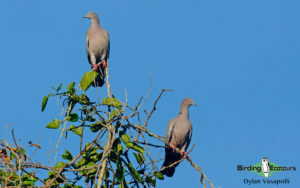 A dedicated sea watch may produce the rare Black-capped Petrel, Brown Booby, Magnificent Frigatebird, and Brown Pelican. Following our time here we will undertake the rest of the drive to Puerto Escondido (which will likely take around four hours without stops), where we’ll arrive in the late afternoon and check into Villa Barrancolí Eco-lodge. 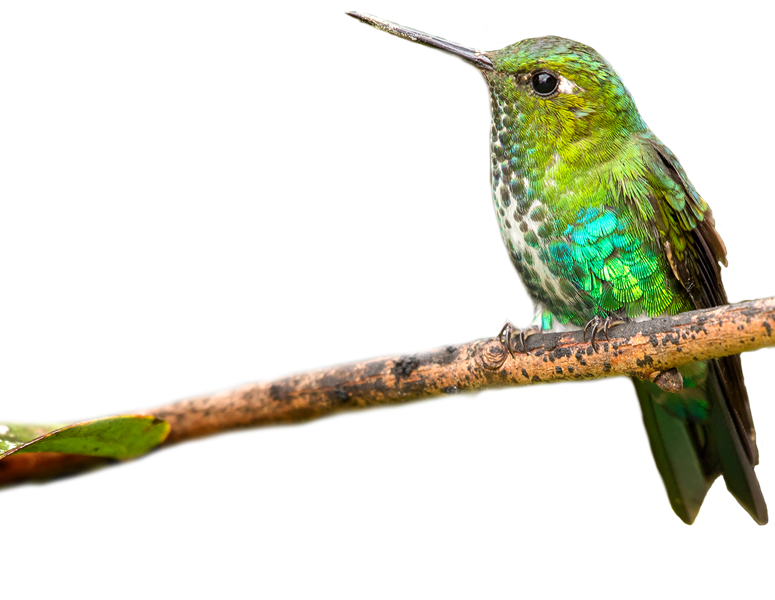 Located in remote western Dominican Republic, this rustic lodge is run by birder Kate Wallace and caters for birders who seek out the many endemics largely restricted to the mountains in this part of the country. 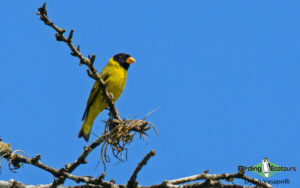 Should we have time available in the late afternoon for birding, we will explore the nearby Rabo de Gato trail. This trail, largely following the contour of a stream, is flanked by large riverine trees and the forested foothills of the Sierra de Bahoruco range. 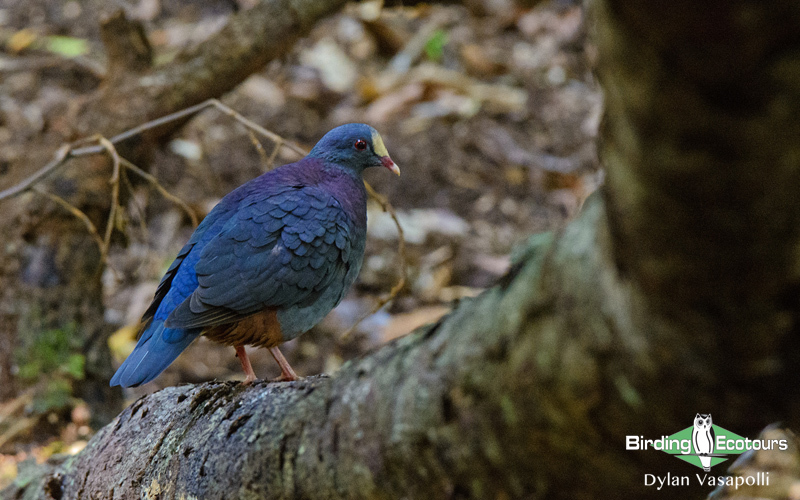 Many species occur along this trail, but chief among our targets will be the uncommon White-fronted Quail-Dove, which normally requires stealth and patience to see. 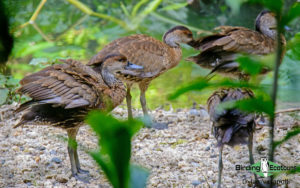 We will also keep an eye out for Limpkin along the stream and Scaly-naped and Plain Pigeons perching on exposed snags above the canopy and search the leaf litter for the similar Key West and Ruddy Quail-Doves. Noisy flocks of Hispaniolan Amazons fly overhead, occasionally with Hispaniolan and Olive-throated Parakeets among them, and the palm-studded areas will be searched for White-necked Crow and Palmchat. The wooded areas host the majority of birds here, and many species are possible, including Hispaniolan Lizard Cuckoo, Vervain Hummingbird, Broad-billed and Narrow-billed Todies, Hispaniolan Trogon, Hispaniolan Woodpecker, Stolid Flycatcher, the colorful Antillean Euphonia, and many wood warblers. After dark we will search for Least Poorwill. Following a long day we will settle in for a wonderful dinner before getting ready for an early start. Today will require an early start, and we will need to be up and going at predawn, as we ascend the Sierra de Bahoruco on a very rough and slow-going track, to allow us to be in the Zapotén sector, towards the top of the mountain, at dawn. This is the prime birding area and easily allows some of the finest birding in the country, with the montane forest playing host to many of the island’s sought-after endemics. Our travel up to Zapotén at predawn will give us a good chance for the difficult Hispaniolan Nightjar. After arriving in the Zapotén sector at first light our first key species is La Selle Thrush, and we will need to keep a beady eye on the road as it forages along it in the very early morning – presenting us with our only chance for this species. 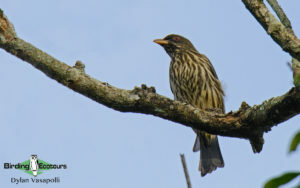 We will spend the morning birding in the Zapotén sector, having a picnic breakfast, before gradually working our way back down the rough track. 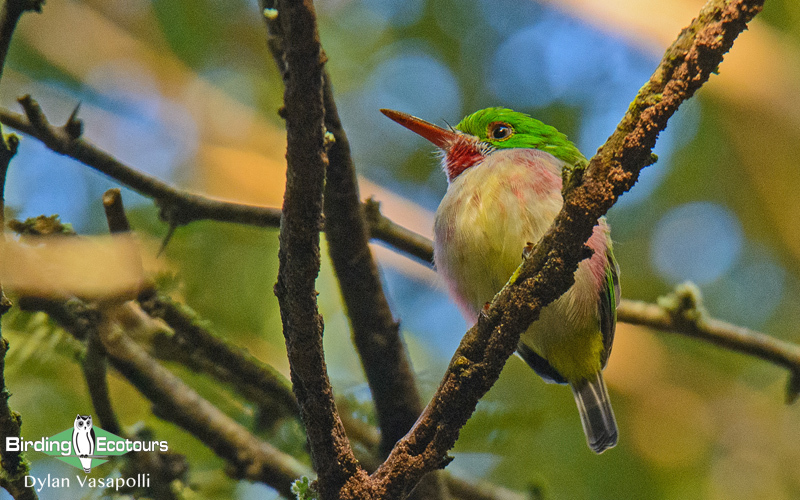 The forest rings with the calls of Rufous-throated Solitaire, and this skulker usually takes a bit of effort to find, while Narrow-billed Tody is normally easy to see. We will keep an eye out for Hispaniolan Emerald as they rapidly move through the forest, while Greater Antillean Elaenia and Hispaniolan Pewee are normally more sedate. 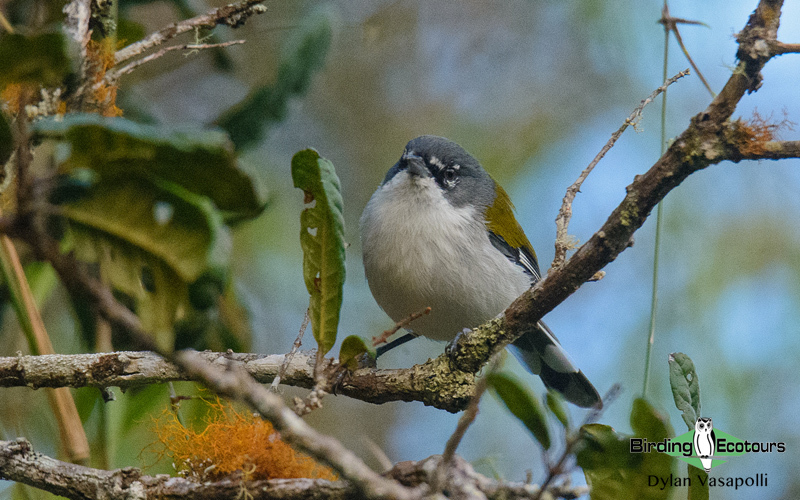 The difficult and skulking Western Chat-Tanager is another key species here, as are the rather puzzling Green-tailed and White-winged Warblers.  While the former requires lots of effort to see, the latter two are normally more confiding. 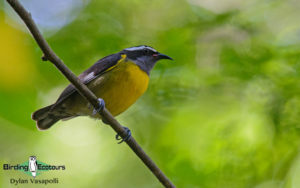 Other species present include Hispaniolan Trogon, Antillean Piculet, Hispaniolan Woodpecker, Stolid Flycatcher, Antillean Siskin, Bicknell’s Thrush (with some luck), Black-crowned Tanager, Hispaniolan Spindalis, Antillean Euphonia, and Greater Antillean Bullfinch. 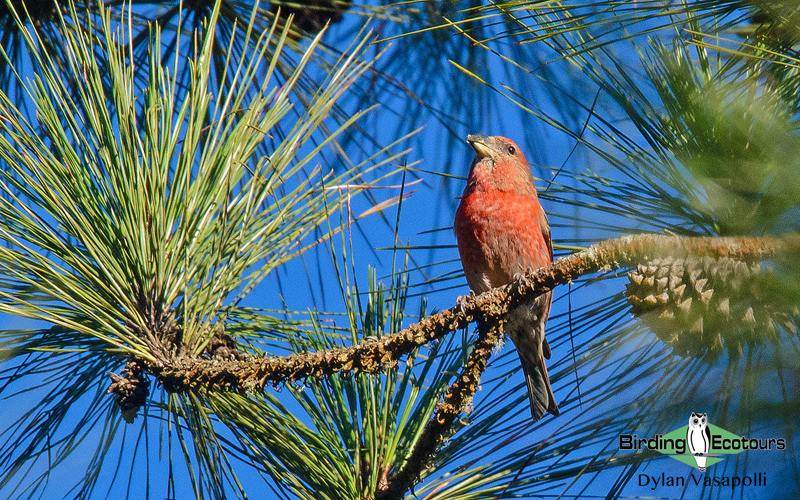 The pine forests are home to the scarce Hispaniolan Crossbill and Pine Warbler. 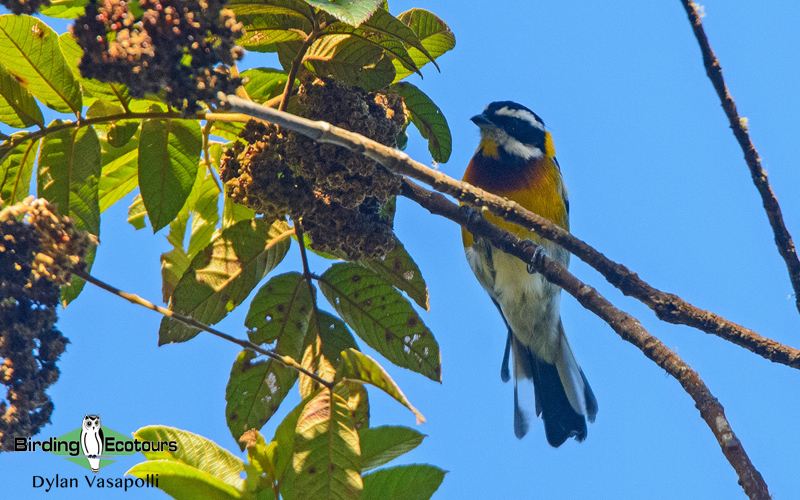 As we begin descending from the Zapotén sector we will keep an eye out for the rare Golden Swallow, now sadly almost certainly extinct in Jamaica, along with Loggerhead Kingbird. 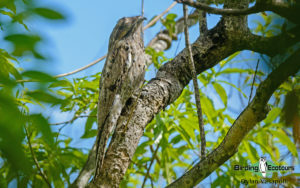 There is a Northern Potoo stakeout along the road, and we are occasionally treated to day views of this bird. 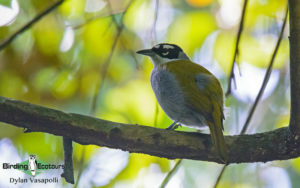 Lower down the road, in the foothills, the habitat changes to drier, broad-leafed forest, and here we will search for arguably the country’s most difficult endemic, Bay-breasted Cuckoo. 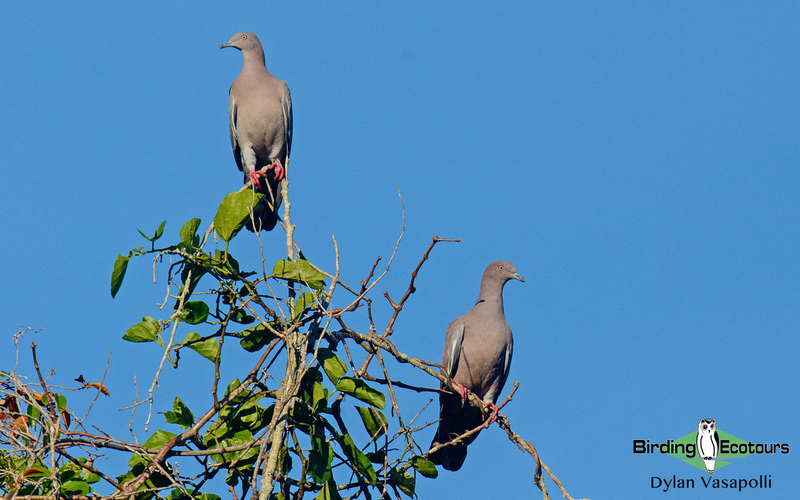 This rare and sadly declining species is notoriously difficult to find, and we would count ourselves lucky to see it. 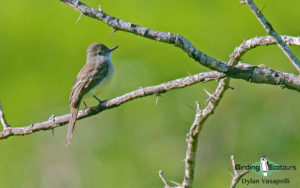 Flat-billed Vireo also occurs in this area and is normally a bit easier to find. 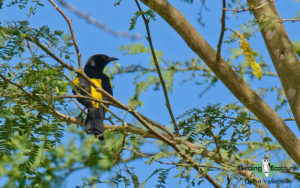 The agricultural lands on the outskirts of Puerto Escondido are good to search for Hispaniolan Oriole, Greater Antillean Grackle, and occasional flocks of Antillean Siskins, while they also play host to other widespread species such as Common Ground Dove, Smooth-billed Ani, Burrowing Owl, American Kestrel, Olive-throated Parakeet, Northern Mockingbird, and Yellow-faced Grassquit. Our afternoon will be spent birding locally, such as on the Rabo de Gato trail or on the outskirts of Puerto Escondido, or at leisure for those who want a break. We have the morning available in the area to search for any outstanding targets, and similar to yesterday afternoon, we may find ourselves birding along the Rabo de Gato trail, or in the dry woodlands outside Puerto Escondido should we still need Bay-breasted Cuckoo. 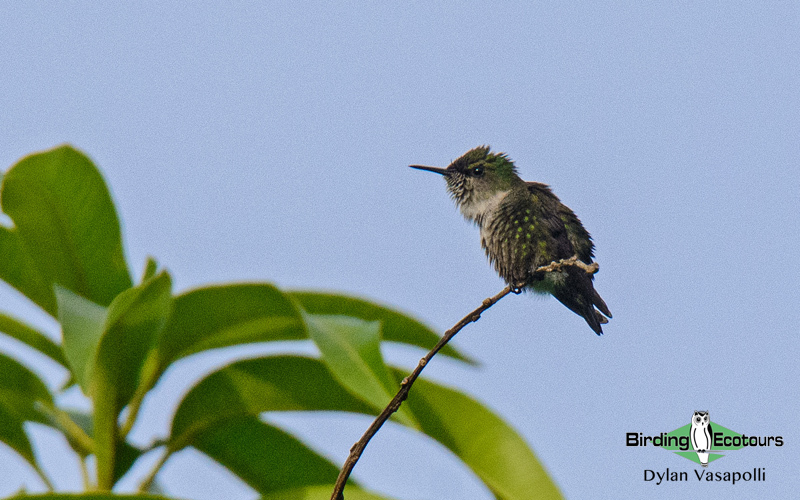 Following breakfast we will depart for our next main destination along the south Caribbean coast, with a dedicated birding stop at Laguna Rincón. This freshwater body is incredibly birdy, and we will spend some time here and undertake a boat trip, investigating primarily the marshy areas on the edge of this large waterbody. Possible waterbirds here include Pied-billed Grebe, White-cheeked Pintail, Lesser Scaup, Ruddy Duck, American Wigeon, Blue-winged Teal, and American Coot, while the marshy areas play host to many exciting species. 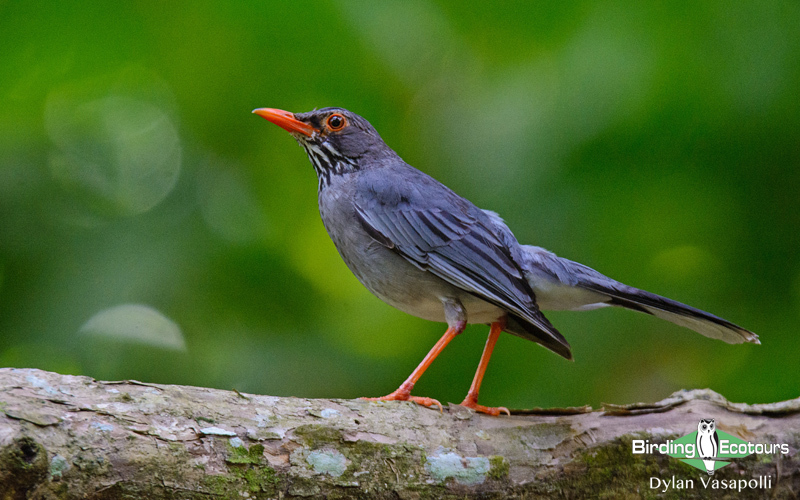 It is here where we will try for the rare and poorly-known Spotted Rail. 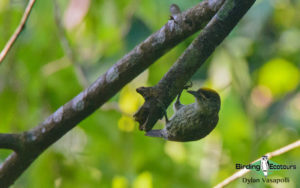 Yellow-breasted Crake, an equally rare and poorly-known bird, has also been found here, and we will be on the lookout for this bird as well. Sora, Purple Gallinule, and various egrets and herons, including Least Bittern, also occur here. In the late afternoon we will transfer to our comfortable hotel near the Haitian border and enjoy the sunset over the coastline. 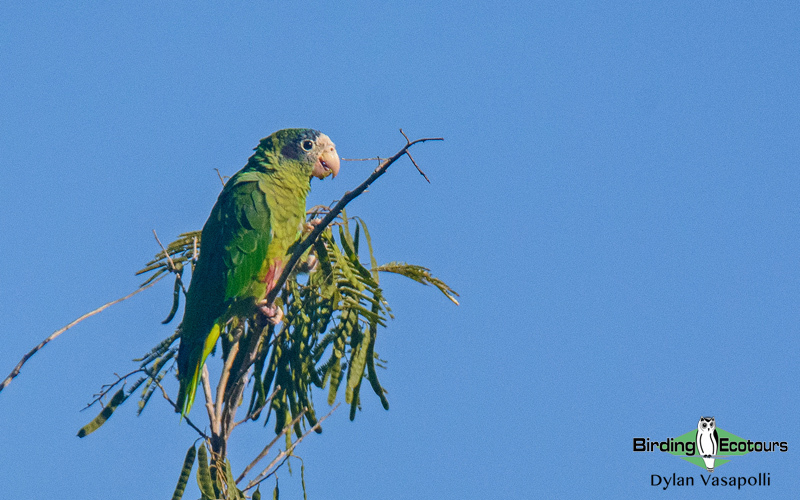 The Alcoa Road along with Cabo Rojo are our two primary birding stops today, and we will spend the day exploring these two areas. 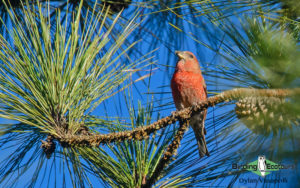 The Alcoa Road will see us birding a variety of habitats ranging from dry shrublands to pine forests to some montane forest higher up. This is a great site for Hispaniolan Palm Crow, which, together with Golden Swallow and Hispaniolan Crossbill, form our primary targets for the area. 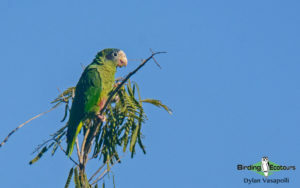 A variety of other species occur here, and we will be on the lookout for Plain, Scaly-naped, and White-crowned Pigeons, Hispaniolan Parakeet, Hispaniolan Amazon, Burrowing Owl, Hispaniolan Trogon, Broad-billed Tody, Hispaniolan Pewee, and Green-tailed Warbler, among others. We will then transfer to the coast at Cabo Rojo, where we will enjoy our lunch on the beach before setting out birding the surrounding area. Open bodies of water will be searched for various ducks, such as Northern Shoveler, Blue-winged Teal, and American Wigeon, along with American Flamingo, American White Ibis, Roseate Spoonbill, various herons and egrets including Great, Reddish, and Snowy Egrets, Tricolored Heron, Western Osprey, American Coot, and Belted Kingfisher. In the shallower reaches we will search for a variety of waders, including Black-necked Stilt, Grey Plover, Short-billed Dowitcher, Stilt Sandpiper, and Lesser and Greater Yellowlegs, along with the secretive Sora. 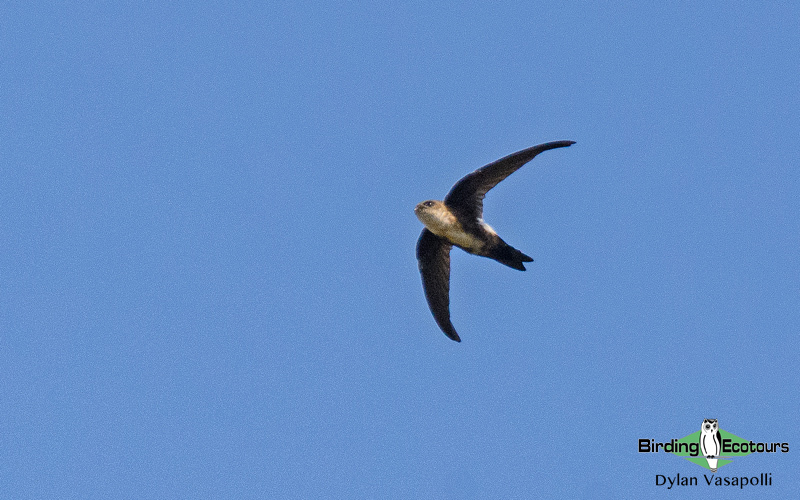 Numbers of Brown Pelicans and Magnificent Frigatebirds frequent the ocean, and we will also search here for the prized White-tailed Tropicbird, Brown Booby, and Royal Tern, while an eye skywards should hopefully reveal Caribbean Martin and Cave Swallow. Sea-watching in the afternoon might produce Audubon’s Shearwater and, if we’re lucky, Black-capped Petrel. We can try for the rare Ashy-faced Owl after dark near our lodge. We will have an exciting morning in store for us, as we transfer into the far eastern hills of the Sierra de Bahoruco, birding around in the montane forests and thickets near Cachote, a stunning protected cloud forest area not too far from where we’re staying. 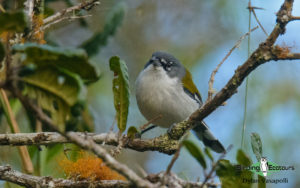 This will be our only attempt at Eastern Chat-Tanager on the tour, which forms our primary target. Like its cousin, Western Chat-Tanager, this is an equally shy and difficult-to-see species, despite being reasonably common in the area. 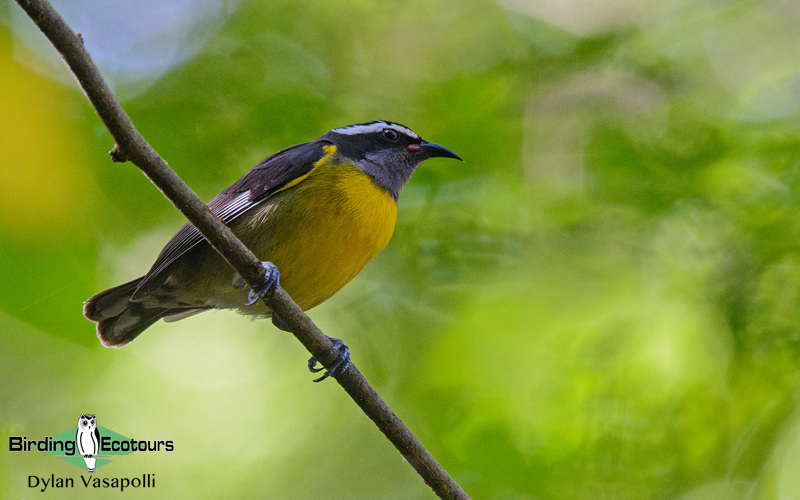 We will also have our last attempt for other highland species such as Hispaniolan Emerald, Hispaniolan Trogon, Narrow-billed Tody, Rufous-throated Solitaire, Green-tailed and White-winged Warblers, the rare Bicknell’s Thrush, and Hispaniolan Spindalis. Following our morning in the hill, we will transfer back to the coastline and transfer back to the capital, Santo Domingo, where we’ll arrive in the afternoon. We might be able to include some birding stops on the way, depending on time and if any target species still remain unseen. We will settle in for our final dinner together in the historic colonial district. Following a spectacular tour, encompassing all the key birding sites of the country and targeting all the possible specials, which with a bit of luck we will have seen, this tour will conclude in the morning, when we’ll transfer back home.